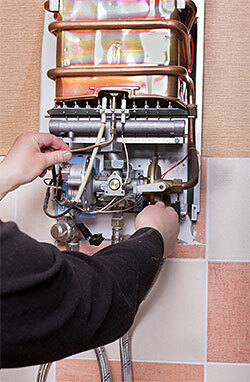 Plumbing jobs are something that has to be handled by a specialist. This is especially true if you need more than just a faucet fixed. Plumbing works can be very complicated and the pipe fitting can sometimes be underground or concealed in walls etc. This can make the work more complex and a handyman will not be able to fix them efficiently. California Creations is a full-service construction company and we offer all types of plumbing services for large and small residential, commercial, retail and industrial spaces. We handle plumbing jobs for new and existing structures and follow all the necessary safety norms as required by the local municipal rules. We can handle all types of plumbing systems in single-family & multi-family apartments and homes and can tackle all those pipes, drainage, faucet, shower, sink and toilet plumbing installations. 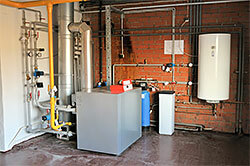 In office spaces the requirement is a little different and industrial premises need different kind of plumbing. We have plumbers who handle it all & the gas fitting, air condition, drainage and sanitary piping will be handled in a very expert manner. The two main systems that have to be attended to are the water & waste systems and when it comes to large residential or commercial complexes, the entire work has to be completed in a very methodical manner. 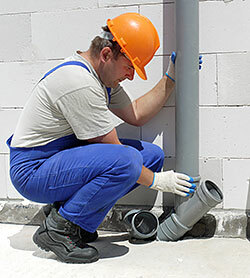 We have a very large team of plumbing personnel. Based on the size and the specific requirement of the project, the plumbers will be deployed to your residential, commercial or industrial location. We will understand all the requirements in detail and the install the systems as required. Industrial customers have some very specific plumbing requirements as the pipes might carry gases, water or even other liquids that are used within that industry. Once we have understood what your specific requirement is, we will provide you with a quote and ensure that the entire job is carried out to your complete satisfaction. We have years of experience in the plumbing space and can handle all types of jobs. When we work on your project, attention to detail, efficiency, professionalism and timely work is a given. All our professionals are courteous and experts at their jobs. In commercial and industrial spaces we ensure that all the work is completed within the shortest possible time and if required, can work in multiple shifts to reduce the downtime and disruption of day-to-day workings. If you have any kind of plumbing installation of repair work, contact California Creations on 818-083-1213 or use this online form to send us your query.